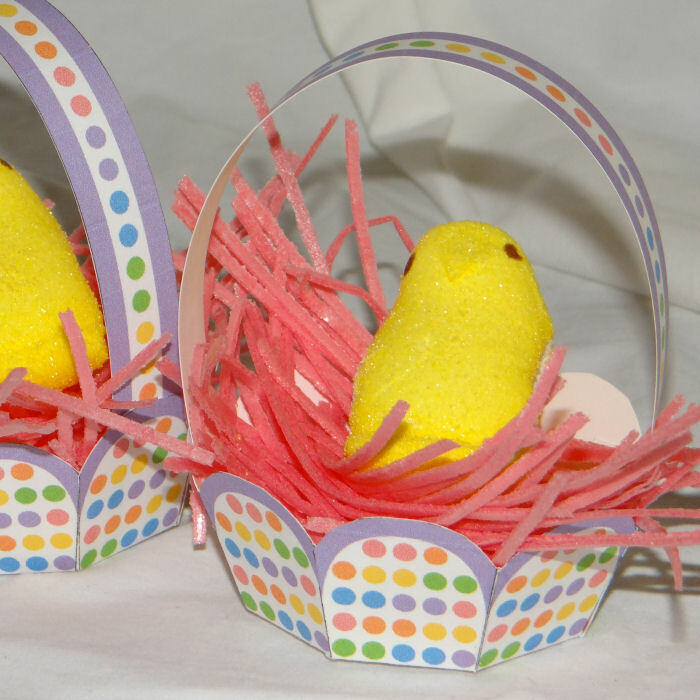 These mini baskets print two to a page and easily fit one plastic egg, or a Peep! The grass used in the photo is an edible Easter grass (Kroger brand). I also like using paper grass sometimes. 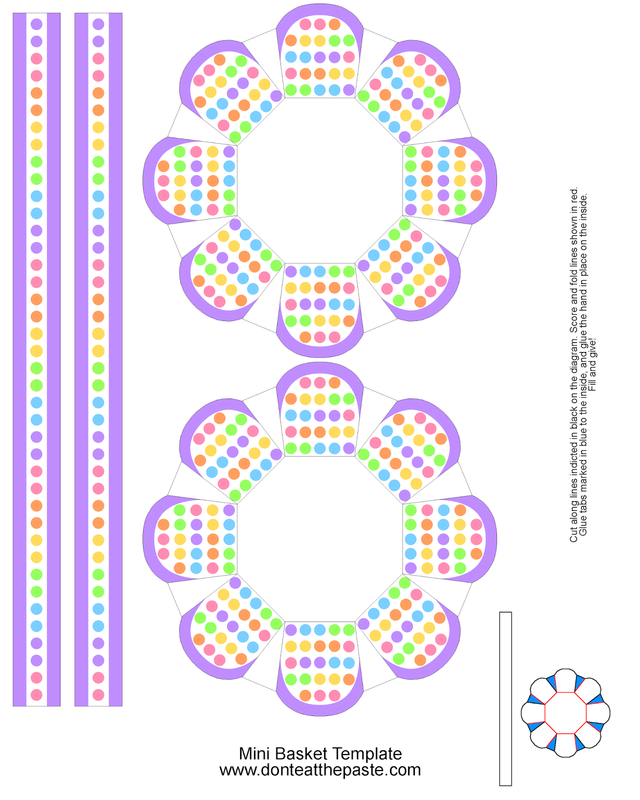 Click the image below for a large version to print and make. Follow the instructions in the corner to assemble it.